Kansas GOP Insider (wannabe): Puke. Just two guys sitting around the airport thinking about the most effective ways to tax and spend. At least, that's what I think when I see this picture. I am going to vote (very reluctantly) for Pat Roberts, but stuff like this photo doesn't make it any easier. If it weren't an election year, I'd just think, oh nice. These two tax collectors for the welfare state ran into each other at the airport. Since we're mere months away from a heated Roberts' election, this reads like tone deafnesses from the Roberts camp. Great to see my good friend Bob Dole today. Bob's endorsement meant a great deal to me. He wrote that, "When the world is in distress and there is chaos here at home, we must have proven and experienced leadership to safeguard our national security and get our economy back on a sound track. 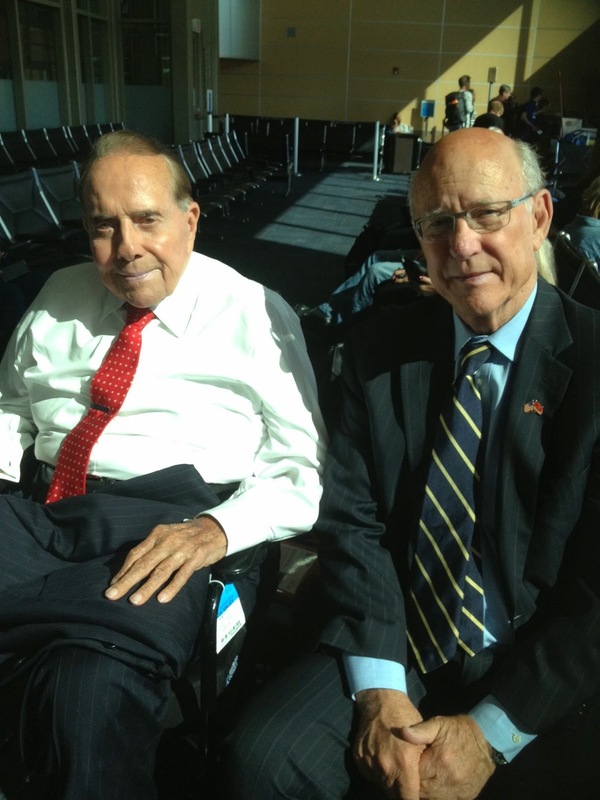 Now, more than ever, we need Pat Roberts in the United States Senate."